Bertrand Cantat (born 5 March 1964) is a French musician and former frontman of rock band Noir Désir. In 2003, he was convicted of murder ("murder with indirect intent" - dolus eventualis) of French actress Marie Trintignant. He returned to Noir Désir after his release from prison in 2007, playing with the group until it disbanded in 2010. Cantat was born in Pau, Pyrénées-Atlantiques. The son of a navy officer, he spent his childhood in Le Havre. His family moved when he was an adolescent to Bordeaux. At the lycée Saint-Genès, he met Denis Barthe, Serge Teyssot-Gay, and Frédéric Vidalenc, who soon became members of his band. At the height of Noir Désir's success in the 1990s, Cantat was a prominent figure in French music. He was known for his text and his interpretrations. In March 2004, Cantat was sentenced by Vilnius Regional Court under Article 129 of the Lithuanian Criminal Code to eight years in prison for murder, committed with indirect intent (dolus eventualis). The verdict was at first appealed by Marie Trintignant's family, who believed that her killing warranted a harsher sentence, and later by Cantat himself, who wanted the higher court to reclassify his crime as manslaughter, and therefore lessen his sentence. Both parties ultimately decided to cancel their appeals, which rendered final the original sentence of eight years. At the request of his lawyers, Cantat was moved from a Lithuanian prison to a prison near Muret, France, September 2004. Cantat served four years of his eight-year sentence in prison. According to French law, after half of a prison sentence has been served, a criminal with good behavior can be released to serve the rest of his sentence on parole. Cantat was released from the French prison on parole in October 2007, after serving half of his sentence. His early release aroused the anger of women's rights activists and the victim’s parents, who had failed to persuade French President Nicolas Sarkozy and French judges to block his early release. On the night of 10 January 2010, Cantat's ex-wife Krisztina Rády died by suicide. At the time of her death, Bertrand Cantat was present in the house. She was discovered by their children the following day. Shortly before her death, Rády had complained of mental abuse by Cantat. The physical abuse she complained of on the answering machine is that he threw some objects at her, but she never mentioned that he was assaulting her. According to Cantat, Rády's parents had spent a week with him after the suicide. Magistrates in Bordeaux investigated Cantat in connection with Rady's suicide, but ultimately decided not to press charges. 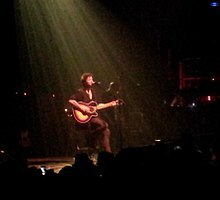 In October 2010, three months after his probational status of release was lifted and his sentence declared completed, Cantat resumed his musical career with a gig in Bordeaux. His re-entry into the public eye frustrated women's rights campaigners and victim support groups. On 30 November 2010, Noir Désir announced that it would split up for good. Cantat has since continued as a solo musician. In early 2011, Canadian Lebanese playwright Wajdi Mouawad chose Cantat to sing in his production in Montreal of a Sophocles cycle, entitled Chœurs. This sparked public criticism due to Cantat's murder conviction. Politicians proposed to ban Cantat's entry into the country, as Canada's immigration legislation bars from entry anyone convicted abroad of a crime which is punishable in Canada by a maximum term of at least 10 years in prison, until at least five years have passed since the end of the complete sentence handed down. Manslaughter carries a maximum penalty of life imprisonment in Canada. Cantat had been sentenced to eight years in jail in Lithuania in 2004, was freed in 2007 after serving half his term. In April 2011, the artistic director of Théâtre du Nouveau Monde, Lorraine Pintal, announced that Cantat would not be performing in Chœurs. Wajdi Mouawad responded to the controversy by publishing an open letter to his three-year-old daughter Aimee in the newspaper Le Devoir, in which he argued for Cantat's right to full reintegration into society. In November 2011, Cantat released the album Chœurs, composed for Mouawad's namesake production with musicians Pascal Humbert, Bernard Falaise, and Alexander MacSween. In November 2013 Cantat released the album Horizons credited to his duo Détroit with Pascal Humbert on Barclay Records label. The first single, titled "Droit dans le Soleil", had been released on 30 September 2013. ^ Hugh Schofield (19 November 2013). "French killer Bertrand Cantat's controversial comeback". BBC News. Retrieved 20 November 2013. ^ "French rocker released from jail". BBC News. 23 June 2004. Retrieved 16 March 2012. ^ "Should domestic abuse ever be forgotten?". Women's Views on News. 23 June 2004. Retrieved 16 March 2012. ^ "Europe | Rock star lover 'lost control'". BBC News. 16 March 2004. Retrieved 16 March 2012. ^ a b "Early release for Bertrand Cantat". The New Zealand Herald. 15 October 2007. Retrieved 12 September 2011. ^ "« On va vous cramer, vous allez payer »". Leparisien.fr. 15 September 2003. Retrieved 21 June 2018. ^ "Europe | French singer drops jail appeal". BBC News. 23 June 2004. Retrieved 16 March 2012. ^ lefigaro.fr. "Suicide de l'ex-femme de Cantat (RTL)". Lefigaro.fr. Retrieved 15 March 2012. ^ lefigaro.fr. "French killer Bertrand Cantat's controversial comeback (RTL)". BBC.co.uk. Retrieved 19 October 2013. ^ lefigaro.fr (11 January 2010). "French rocker questioned over ex-wife 'suicide'(RTL)". Telegraph.co.uk. Retrieved 19 October 2013. ^ Lizzy Davies in Paris (3 October 2010). "Bertrand Cantat returns to the stage seven years after murdering his girlfriend". The Guardian. Retrieved 15 March 2012. ^ "Aimee, my little darling/ Aimée, ma petite chérie". Ledevoir.com. Retrieved 21 June 2018. ^ "Detroit Musical Game Blog". Detroitmusic.fr. Retrieved 21 June 2018. ^ a b c "Bertrand Cantat discography". lescharts.com. Hung Medien. Retrieved 9 February 2014. ^ "Le Top de la semaine : Top Singles Téléchargés – SNEP (Week 41, 2017)" (in French). Syndicat National de l'Édition Phonographique. Retrieved 16 October 2017. ^ "Bertrand Cantat discography". lescharts.com. Hung Medien. Retrieved 9 February 2014.